It’s probably happened to you on more than one occasion. You too must have hesitated before what is offered as an opportunity: am I lucky or are they taking advantage of my work? There are many examples. A classic is the gallery owner who tries to convince you: “No, you won’t get paid anything to exhibit your work here, but it’s a very important, distribution platform, it will be worth your while, etc. etc.” Yes of course there are big brands that do the sane thing and it’s even worse. Or not. Well, I’ll use this reflection to introduce a comment about Talenthouse, a platform for designers and artists on the Internet that offers –quote– “unique opportunities for the creative community. Gain recognition and increase your audience on a worldwide level”. 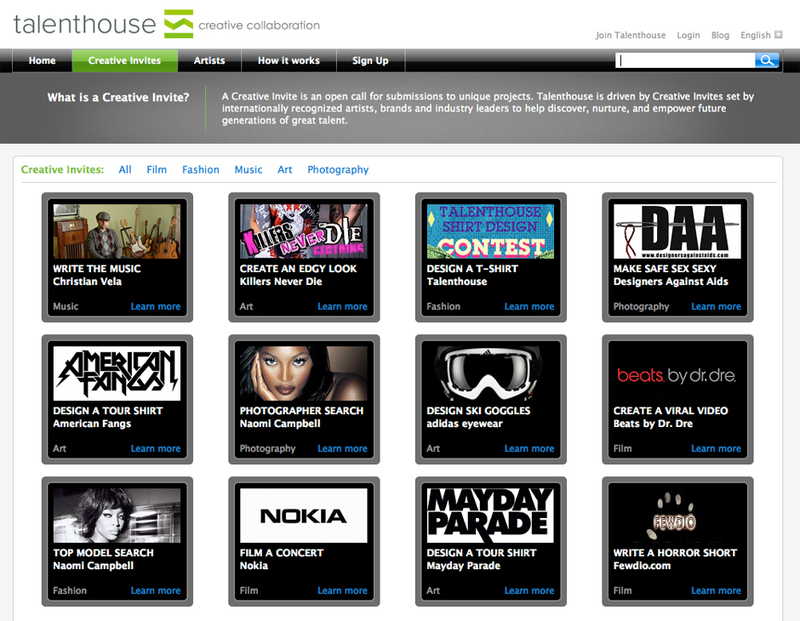 In effect, on Talenthouse, big brands and well-known industry artists offer what they call “Creative Invites”. Nokia, Adidas, Naomi Campbell and many others advertise competitions included in different categories: cinema, fashion, music, photography, dance, art and design. At the moment, for example, an open cal to create art inspired by Paul McCartney’s albums is about to close. 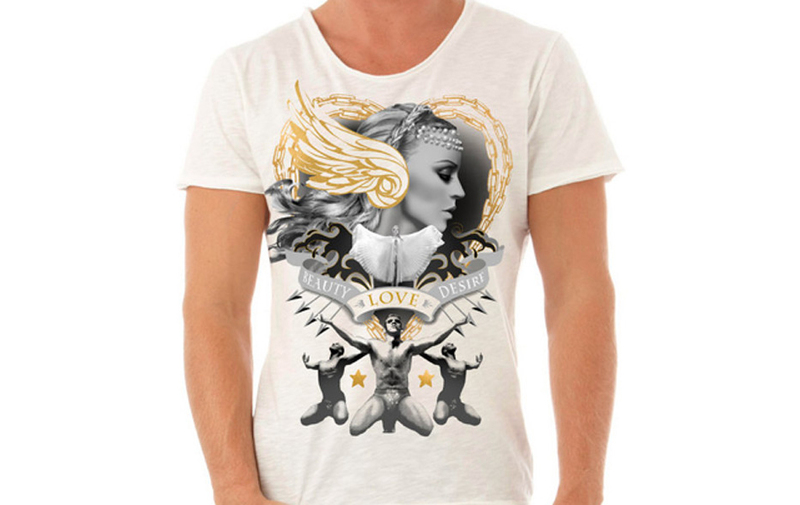 The singer will put selected designs on his website, for which “the winner will gain worldwide recognition”. There is also the opportunity to design armour for the characters on ‘Deep Realms’ for Playdom or to receive a grant for the Art college The Art Department, among many others, with economic benefits. As you can see,these are real opportunities, competitions that offer the opportunity to show your talent (which will be voted for by the whole world on Facebook or Tweet) and, occasionally, earn money and gain monetary recognition above all through the websites of the adverts’ creators. Despite all of this, let me mention something I’m not sure about, and I would say it’s the use of the words “opportunity”and “recognition”. Mightn’t competitions be a good way to receive many great ideas without having to pay for them? Shouldn’t the time taken to create a graphic proposal be valued? In short, these are my doubts. Of course, one is free to decide if they enter the competition or not, and accept its conditions and its recognition or not.